Naps are an important part of baby sleep training, especially as infants get old enough to stay awake hours at a time. 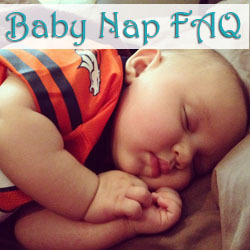 Finding the appropriate nap schedule for your baby can be challenging. This guide should get you started. How Many Naps Should My Baby Take? Can I Wake My Baby From His/Her Nap? Baby nap schedules can vary substantially, but the number and length of them are dependent largely on your baby’s age. 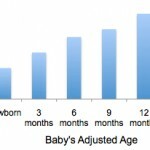 Here’s a breakdown of typical number of naps baby age. Note, these are adjusted ages, meaning the time that’s passed since your baby’s original due date. If your baby was born before his or her due date, adjust his or her age down. Source: Our pediatrician and Parents magazine. As you’re probably already aware, newborns take 4-5 naps a day, which is a mathematical way of saying that they eat, sleep, and poop in 3- to 4-hour cycles around the clock. Yes, even at night. Sometime between the ages of 2-4 months, your baby will likely begin staying awake for longer periods of time, and you might go down to 3 naps of 2-3 hours each with a longer stretch at night. See our baby sleep chart for more details. By the age of 6 months, your baby will probably move to 2 naps per day: one in the late morning, and one in the afternoon. This classic schedule will continue for about a year. The timing and length of the naps depends a little bit on your daily schedule – I find that my boys are ready for their morning nap about 2 or 2.5 hours after waking up. For us, that’s around 10:00 in the morning. They sleep about an hour and a half to two hours and wake up for lunch. Then they play until mid-afternoon, and take a slightly longer nap (2-3 hours) in the late afternoon. You might adapt this schedule to fit your baby’s preferences, which will become clear over time. At the newborn stage, this is easy: just change your newborn’s diaper, feed, and then burp. They pretty much go to sleep on their own. As your baby grows, however, he or she will have more control over wakefulness and an ever-more-piercing cry. Here are some steps you can take that will help your baby nap when it’s time to. Set a schedule. Napping works best when you follow a routine each day, including when your baby wakes, eats, and goes down for naps. For us, that’s waking up (diaper change), having breakfast, playing for an hour, then bottle (diaper change) and bed. The daily routine should have a sort of rhythm to it; with success, your baby will expect to sleep when nap time approaches. Watch for drowsiness. When your baby’s physically ready for sleep, you’ll probably see the signs: rubbing or closing eyes, putting his or her head down, and often general fussiness. This is the best time to put your baby down, especially if it matches up with your schedule. Don’t wait until your baby is over-tired! When he’s ready, he’s ready. Feed and burp. Feeding and burping should probably be part of the ritual. Breast milk is best, but warm formula or whole milk (when your baby is old enough) have the same effect. Not only do they nourish, but they have components that actual help your baby sleep – that’s why warm milk is a “home remedy” for insomnia in adults. A satisfied belly is a must for your baby to fall asleep. Make your baby comfy-cozy. 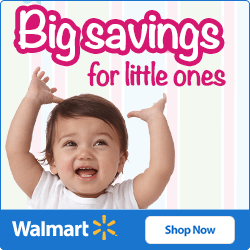 You should dress your baby for bed, if not in pajamas, then at least in soft, nonrestrictive clothing. A sleep sack or sleeping bag over a onesie is a great combo, offering the right amount of warmth, freedom, and comfort. Sleep sacks are a good “bedtime signal” and have the added bonus of making it harder for your baby to roll. Set the stage. If you want your baby to take napping seriously, treat it like they’re going to bed for the night. Lights out, shades drawn, and soothing white noise (see our reviews of baby crib mobiles or sound machines). Why Won’t My Baby Nap?? Sometimes babies will fight their naps, either consistently or on occasion. Part of me wants to tell you, “Hey, babies don’t always do what you want.” But if it’s a consistent issue then something might be wrong. First, you should consider if you’re putting your baby down for too many naps for his or her age (see the table above). Next, check the diaper, and make sure that your little one’s belly is full. If you’d like detailed help, see our article on Why Baby Won’t Sleep. Should I Wake My Baby From His/Her Nap? Many times you’ve probably heard the old adage: Never wake a sleeping baby. I understand the idea behind this, but don’t entirely agree. Sometimes you need to wake your baby to keep him or her on schedule (with regard to feeding and napping in particular). There are exceptions to this, such as if your baby is sick (they need more sleep) or if you’re letting your little one get a bit more sleep because the rest of the day’s schedule will already be disrupted by something else, i.e. a road trip. Otherwise, sure, don’t be afraid to wake your baby when nap time has gone on too long. In fact, keeping naps to a reasonable length is one strategy we’ve used when one or both of our babies start waking up too early in the morning (more than an hour before usual time). It seems like we were letting them nap a bit too long, especially in the afternoon. Curtailing this nap to an hour and a half helped our boys fall asleep at bedtime (without any crying) and sleep a little bit more past sunrise. The safest place for your baby to sleep is the crib, and this holds true for naps as well as overnights. Putting your baby in the crib is also an important signal that it’s nap time, as opposed to play time. On the other hand, if you’ll be watching your baby closely during the day, I’m not opposed to letting him or her nap in a stroller, swing, or bouncer if it’s more convenient. Still, if you use the crib every time, you’ll probably be able to get your little one to sleep more consistently. 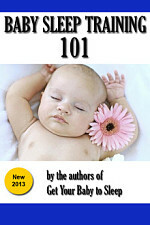 If you need help, see our article on getting baby to sleep in the crib.